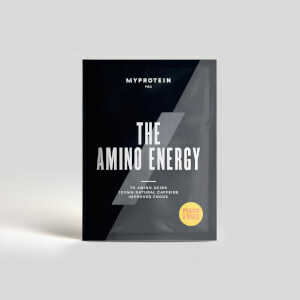 Our blend of isolate, concentrate, and hydrolysed protein delivers high-quality nutritionals, and an all-important boost of essential amino acids — these naturally occur in protein, which helps to build and repair new muscle1 to keep you fighting fit and ready to get back to it — day in, day out. 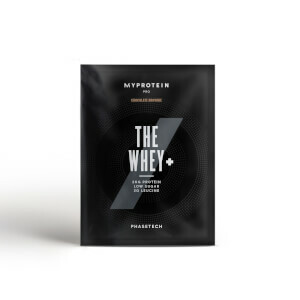 THE Whey™ also includes MyZyme™: a natural enzyme complex that works as a digestion aid, specially created for our unique muscle-building blend. And unrivalled for taste and smoothness, get it in six indulgent flavours, including Milk Chocolate, Salted Caramel, and Strawberry Milkshake. Lacprodan® HYDRO.Power: hydrolysed, super-absorbent whey — the purest available. MyZyme™: an expertly developed blend of enzymes that break proteins into amino acids. L-leucine and L-isoleucine: essential amino acids that can’t be produced by the body, so must come from your diet — an important part in forming the building blocks of new protein. 4. Caffeine is proven to increase alertness and improve concentration. When to take THE Whey™? Add 1 sachet (25g) to water or milk 30-60 minutes’ post-workout workout to gain the biggest benefits from our fast-absorbing blend, or enjoy any time for an important protein boost. 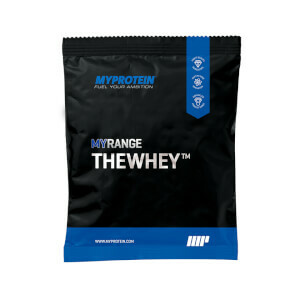 What does THE Whey™ work well with? The nutritional information is based on the Strawberry, when choosing an alternative flavour the nutritional values may vary. Ready-to-mix Whey Protein Isolate with added MyZyme. Various flavours with added sweeteners.